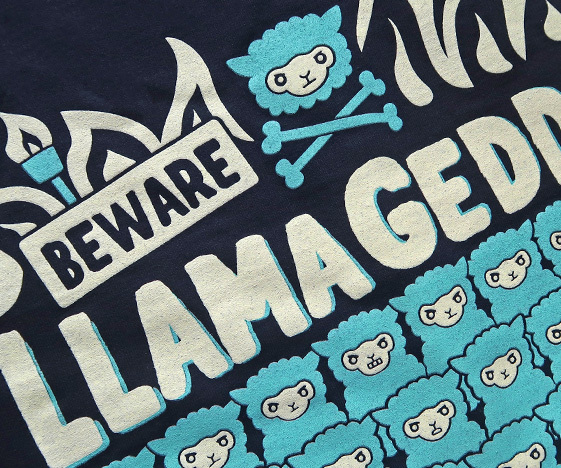 Beware Llamageddon! 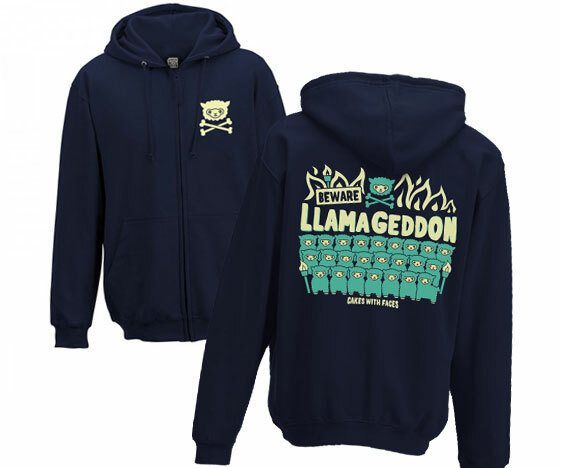 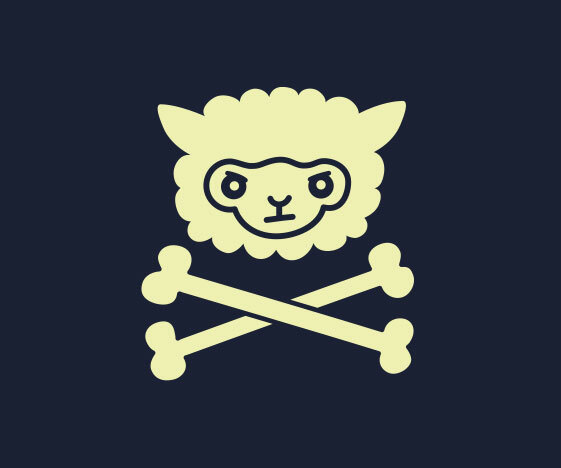 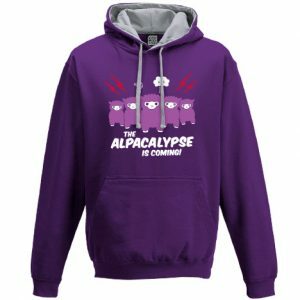 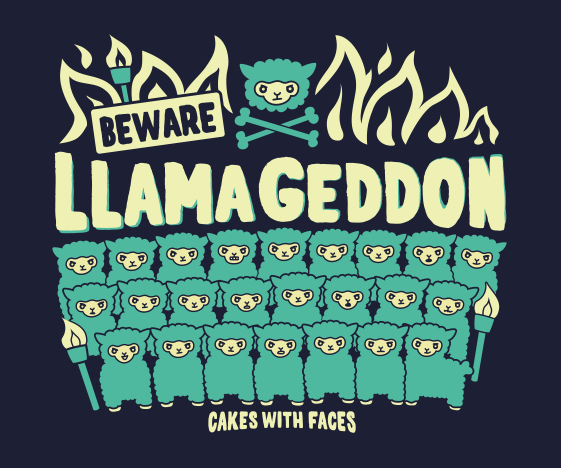 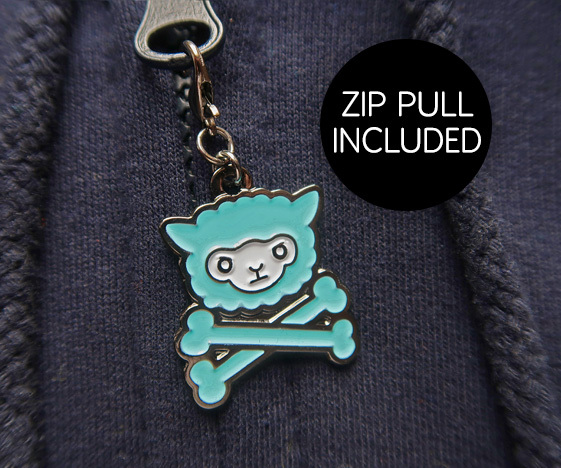 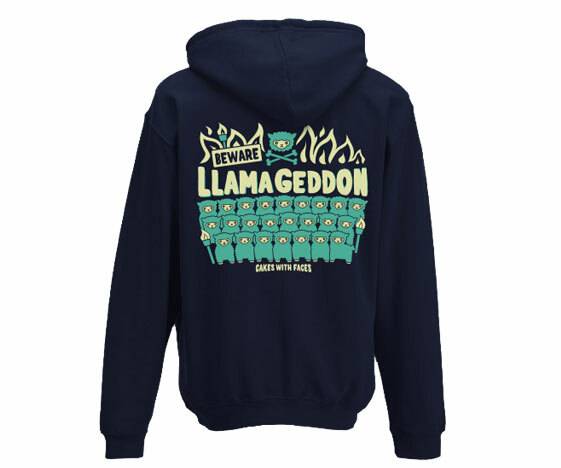 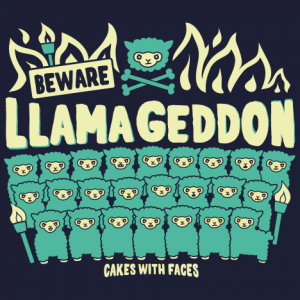 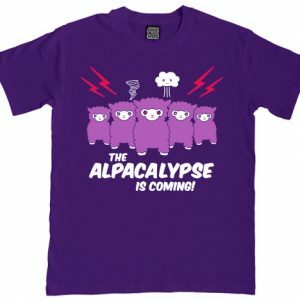 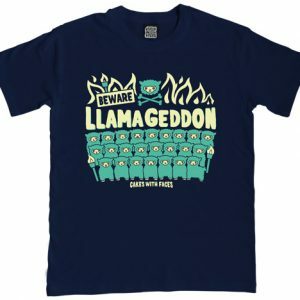 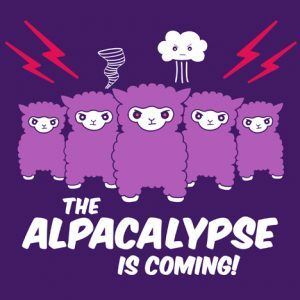 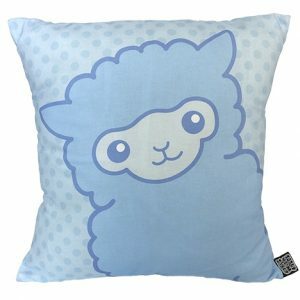 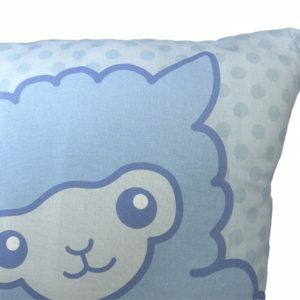 The sequel to the Alpacalypse: a horde of terrifying/cute llamas with flames, torches and a llama skull and crossbones in disaster movie style. 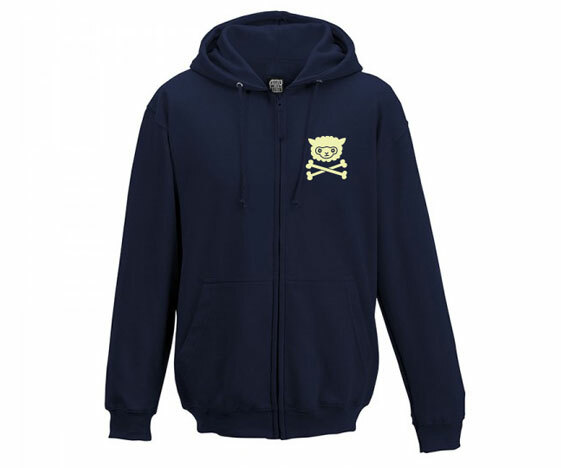 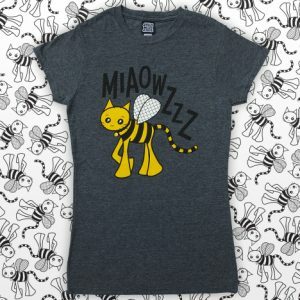 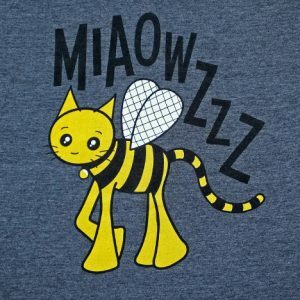 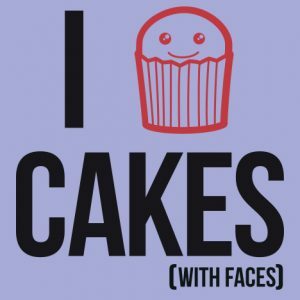 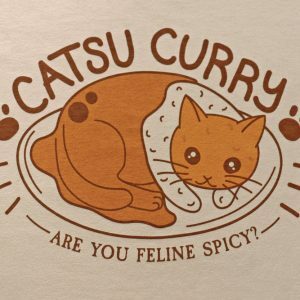 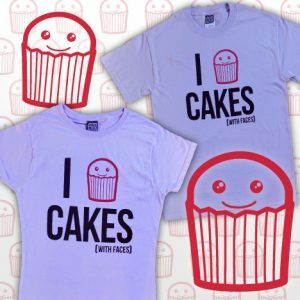 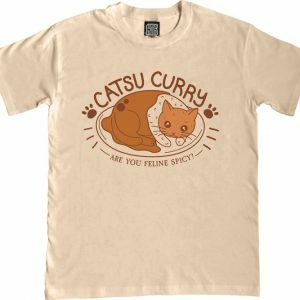 The sizing is the same as our other hoodies and mens t-shirts. 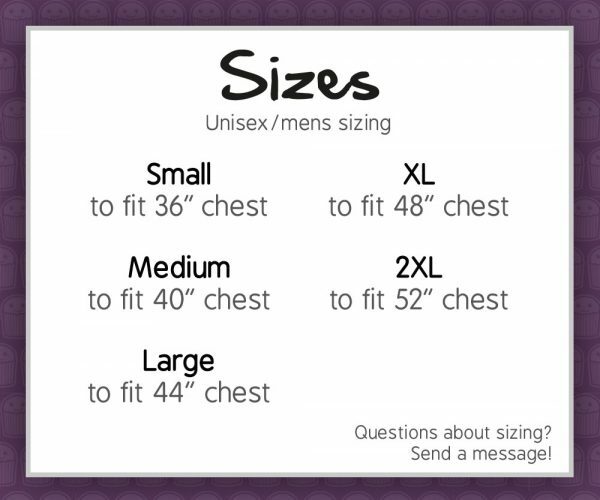 Measurements are in the size guide.